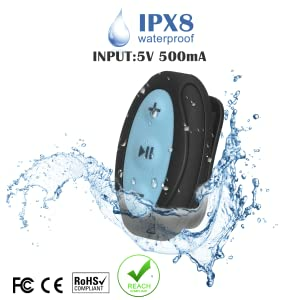 IPX8 Waterproof: The MP3 player and earphones meet IPX8 waterproof standards, comes with bonus swimming goggles. Ideal for swimming, surfing or other water sports. High Quality Sound: Supports MP3/WMA/WAV audio formats. Built-in 8GB memory with shuffle feature, enjoying up to 2000 songs. 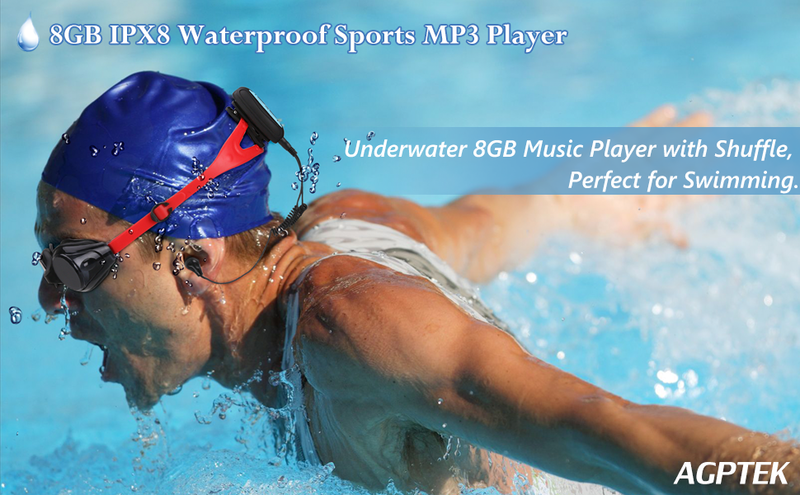 ♫ This AGPTEK swimming MP3 player is a High Quality, Brand New and completely waterproof MP3 player (along with waterproof earphones). 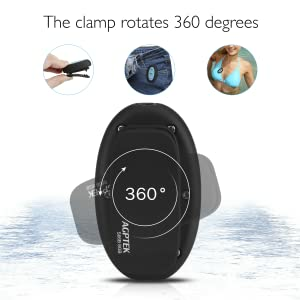 It’s perfect for wearing while swimming. Both the MP3 player or earphones can stay submerged under water for more than 24 hours without sustaining damage. 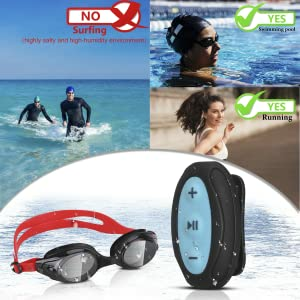 The MP3 player comes with a sturdy clip which can be easily attached onto headband or swimming goggles while you swim! The player comes with waterproof earphones that are short and unobtrusive and hooks around the ears for better stability. Music Format supported: MP3/WMA/WAV (32kbps – 320kbps). Not support Audible and WMA DRM directly. Compatible with Windows98/ME/2K/XP/SP2/Vista/Linux6.2/Mac os 10.3. Easy USB 2.0 Interface. comes with bonus swimming goggles. Ideal for swimming, or other water sports. and one for general give you a good fit. enjoying up to 2000 songs. You can enter the music when swimming freely.